The banking sector was affected by economic and political developments in both Turkey and abroad in 2015. The focal issues globally included the timing and amount of the Fed's interest rate hike, ECB's policies and geopolitical risks. Furthermore, the economic slowdown in China put pressure on emerging markets. The increase in economic and political uncertainties during the year triggered the depreciation of the Turkish lira as well as a rise in interest rates, which in turn slowed credit growth. Capital adequacy ratios were also adversely affected by these developments in 2015. Despite this challenging environment, the banking sector's profitability increased 4% over the prior year. Against this backdrop, it is possible to view 2015 as a year of success for the banking industry. The sector's solid performance once again confirmed that Turkish banking is built on a sound foundation. In the finance sector, Koç Group operates through Koç Financial Services, a Koç Holding and UniCredit Group 50%-50% joint venture, and Koç Finansman, Turkey's first consumer finance company. Koç Financial Services is the parent company of Yapı Kredi, established in 1944 as Turkey's first private nationwide bank, and of various subsidiaries that are leaders in their own segments. Yapı Kredi ranks among Turkey's top ten most valuable brands with its sustainable, customer-focused banking philosophy and innovative approach. 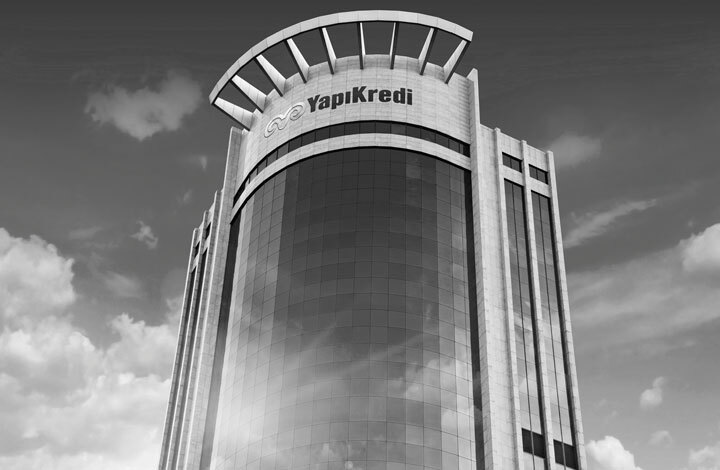 As a strong financial services group, Yapı Kredi's operations include: Retail Banking (individual banking, SME banking, Platinum Banking and card payment systems); Corporate and Commercial Banking; Private Banking and Wealth Management. The Bank's operations are supported by domestic subsidiaries engaged in portfolio management, brokerage, financial leasing and factoring as well as overseas banking subsidiaries based in the Netherlands, Russia, Azerbaijan and Malta. 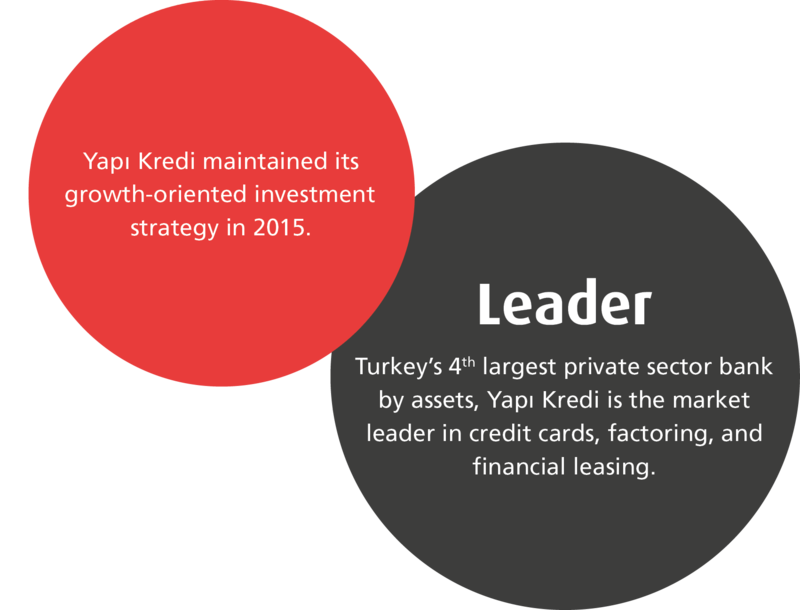 In 2015, Yapı Kredi's branch network climbed to 1,000 branch locations and its ATM network expanded to 4,332 ATMs. With a total workforce of more than 19 thousand employees, Yapı Kredi's customer base includes 11 million active customers and 21.3 million total customers. During the year, the Bank garnered nearly 30 awards presented by prestigious domestic and international institutions. For Yapı Kredi, 2015 was a year of developing and enriching all digital channels, mobile banking in particular, with the rapidly changing world and diversifying customer demands. Pioneering the digital transformation of banking, Yapı Kredi's digital banking active customer base has expanded 80% and reached 2.6 million customers over the last two years. İn this period, Yapı Kredi's internet banking market share increased 330 basis points to reach 14.9%. Likewise, its mobile banking market share increased 147 basis points and reached 12.4%. As of 2015 year-end, alternative distribution channels' share in total banking transactions is around 85%, which is one of the higher figures in the sector. Established to provide customers with financing alternatives at sales locations, Koç Finansman delivers loan services, primarily in the automotive sector, but also in mortgage, education, durable goods and other areas. Koç Finansman is the only financing company to provide a service independent of the brand and sector in question. Financial solutions are delivered without the intermediation of branches, directly by the dealers who sell the products and services covered by the loan. Koç Finansman's total assets amounted to TL 3 billion as of year-end 2015.